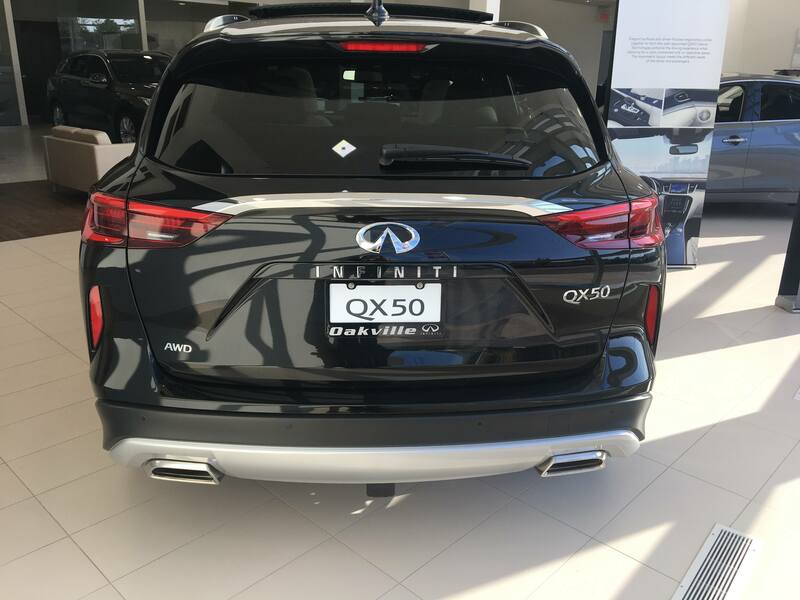 Oakville Infiniti | QX50 | INFINITI QX50 VS Acura RDX: Which is Better? If you’re shopping for a compact luxury SUV chances are you’re considering the 2019 INFINITI QX50 and the 2018 Acura RDX. Both vehicles offer superior craftsmanship, excellent fuel economies, and spacious interiors. However, the QX50 bests the RDX in several key categories: Performance, cargo capacity, and safety features. 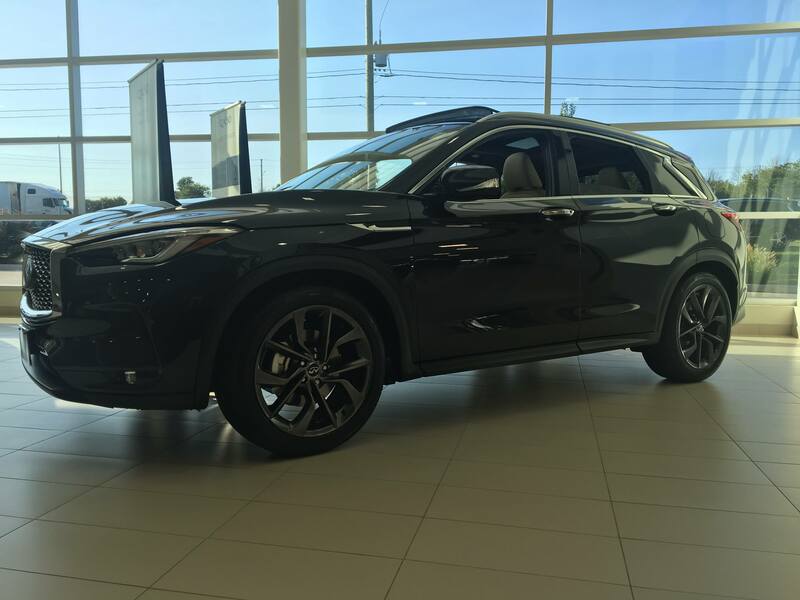 The 2019 Infiniti QX50 houses the world’s first ever variable compression engine. The 2.0L Turbo l4 engine puts out 280 lb.-ft. of torque, besting the 2018 Acura’s 3.5L V6 engine which delivers just 252 lb.-ft. While the RDX does deliver slightly more horsepower (9 to be exact), the QX50’s new VC-Turbo engine is by far the most technologically advanced of the two. The QX50 comes with a continuously variable transmission while the RDX sports a 6-speed manual. The CVT and VC-Turbo engine pair together perfectly, taking the drive and overall experience to the next level. The two technologies work together to give you more power behind the wheel while burning less fuel than a traditional engine and transmission combo. It’s essentially like having two advanced engines in one vehicle. The 2019 QX50 offers the most maximum cargo space in the segment with over 1843 litres. That’s 65 more litres than the Acura RDX. The QX50 also offers more room in the back seat for taller passengers, making it a perfect fit for families. 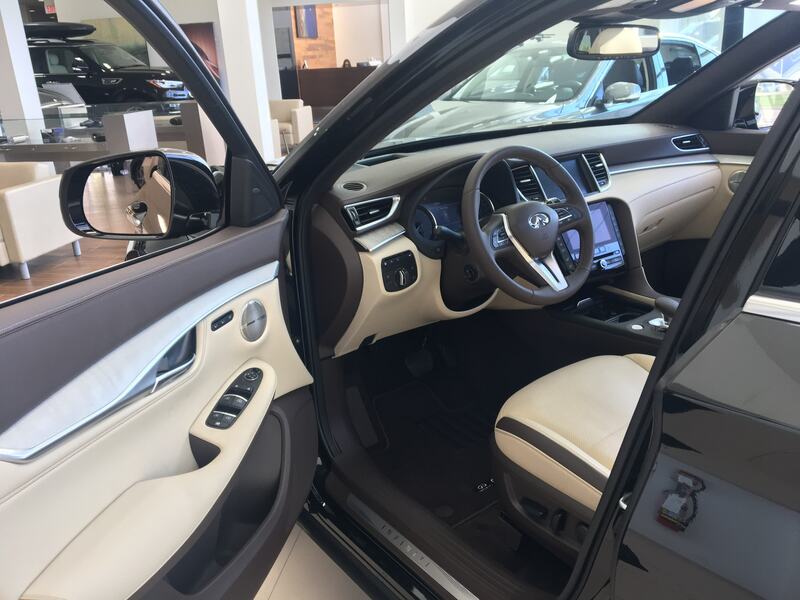 In terms of design, the QX50 has an interior that will take your breath away. When you opt for the Autograph package, you get the highest levels of refinement including blue suede and brown leather seats. 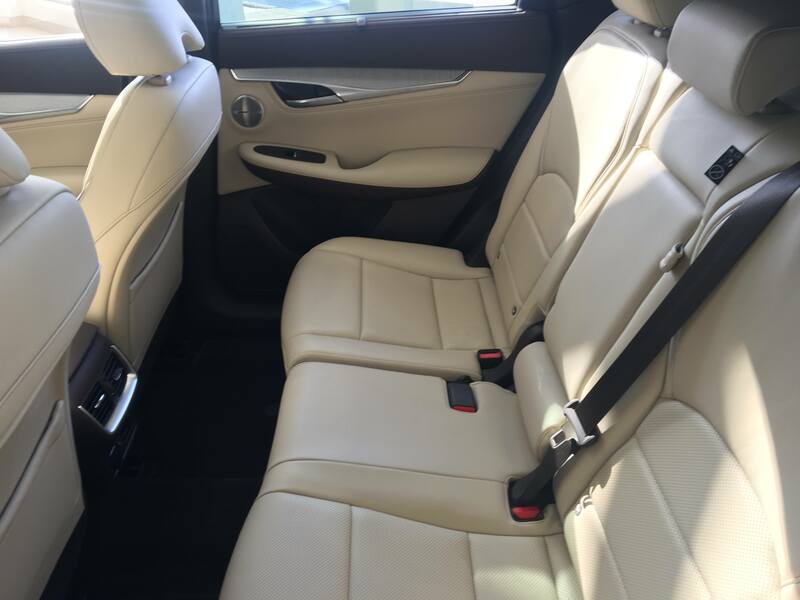 The seats don’t just look better in the QX50; they are also more comfortable than the RDX. Don’t just take our word for it, either. Autoblog.com wrote that the 12-way adjustable seats in the Acura are far from cushy. The 2019 INFINITI QX50 has one of the best safety suites in the industry thanks to Nissan ProPilot Assist. Nissan is leading the way for autonomous vehicles of the future by making it easier for drivers to stay in their lane, navigate stop-and-go traffic, maintain a set vehicle speed and distance to the vehicle ahead – all with a simple two-button operation. That same technology is what makes the QX50 a breeze to drive, and incredibly safe. The 2018 RDX uses AcuraWatch which also offers driver assisted technologies like lane keep assist and adaptive cruise control. However, according to Autoblog.com AcuraWatch falls short on steering and doesn’t perform as well in heavy traffic. 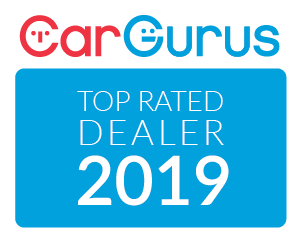 AcuraWatch also lacks the same level of sophistication as the Nissan system, being slower to respond in certain situations. Both the 2019 QX50 and 2018 RDX offer dynamic styling and luxury amenities. However, in terms of performance and overall technology, the clear winner is the INFINITI. The Variable Compression Engine is lightyears ahead of its time, not to mention the advanced safety features the QX50 comes equipped with that have made driving feel effortless. Finally, with a refined and unique interior and more space and cargo capacity for the family, the INFINITI QX50 checks all the requirements you want in a luxury SUV, and then some.